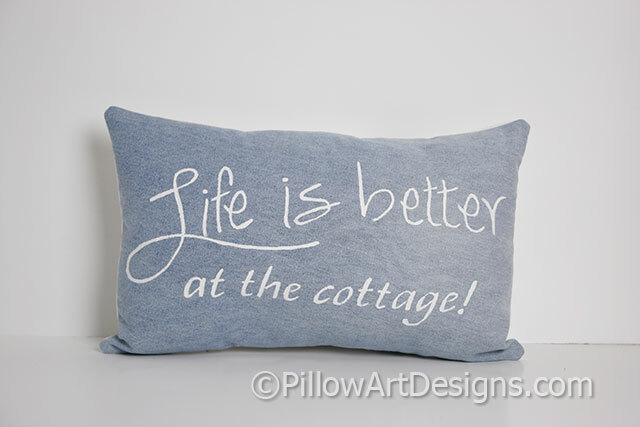 Upcycled denim mini pillow with Life is Better at the Cottage painted in white on the front. 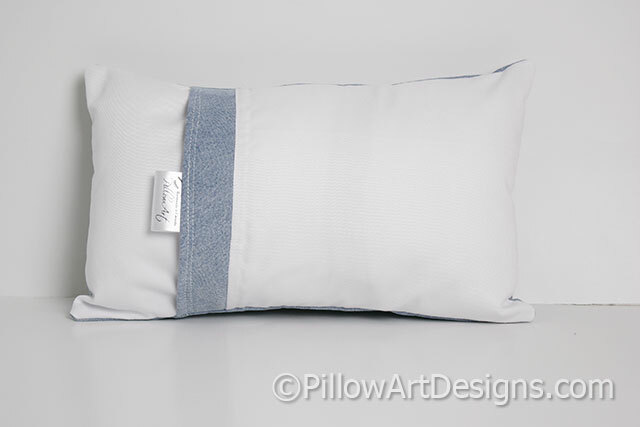 Back of pillow is white cotton twill with blue denim vertical trim on overlapping panel. 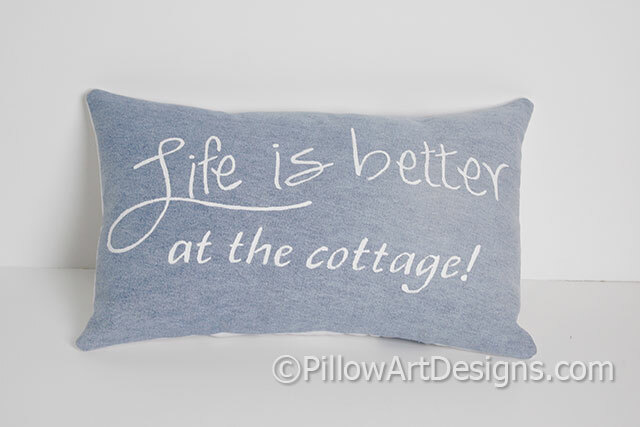 Pillow measures approx 8 X 12 inches, comes stuffed with hi loft polyester fiberfill. No need for an insert. Fully lined with white cotton polyester, seams double stitched and overcast.